In what was a quiet news week, Stormers No.8 Jaco Coetzee injured his leg against the Rebels, Bryce Hegarty kicked three from three for the Reds, and Waihi Athletic scored a good away win, 39-19 against Coromandel, in Thames Valley club rugby. There’s an old saying in rugby, passed down through generations by administrators and coaches to players: ‘nothing good ever happens on social media’. And so it proved with star Wallabies fullback Israel Folau running the Instagram gauntlet and once again coming up short – this time to the tune of around $1m per annum. No one knows exactly how we got to the point where Australia seems certain to be without one of its few star players for the Rugby World Cup, and where a talented young man put his hand up – seemingly unwittingly – for early retirement. Least of all Rugby Australia, who remember, asked for none of this, and certainly not Folau himself. Early conspiracy theories abounded. 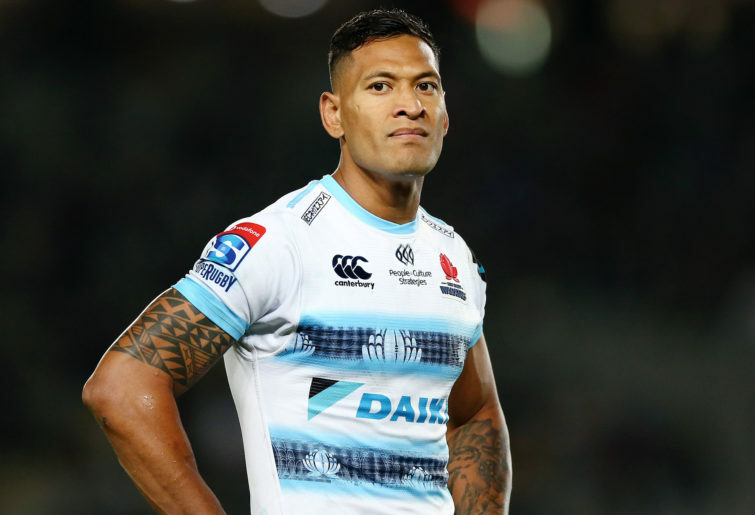 Folau had his Super Rugby try-scoring record and now wanted to be free to pursue a life of evangelism, or this was all a device to hasten his transfer to Toulon to replace out-of-favour Julian Savea. Instead, it came down to nothing more than a player taking advantage of a bye for a few days off in New Zealand, in the process getting himself ‘godded-up’ to such an extent that he felt the need to publicly re-affirm his beliefs – while somehow forgetting that he’d agreed to keep said beliefs under wraps while employed by Rugby Australia. It has been fascinating to observe the situation ‘work through the phases’; from the shock of discovering we were somehow back in the same place we were a year ago, to recognition that the matter was no longer a debate about free speech versus respect and inclusivity, but a straightforward breach of contract, to the realisation that one of Australia’s elite players will, essentially by his own hand, miss the World Cup. The determination (or blindness?) of many people to continue to frame the matter as one of Folau’s right to free speech being trampled upon is particularly interesting. What say Folau posts a similar message again tomorrow? And another the day after? Then more of the same every single day until the World Cup begins? How many times should Folau be free to continue to speak out, contrary to the values and express wishes of his employer? Without facing consequences for doing so? I’d suggest that once is pushing the boundaries, twice is one time too many. 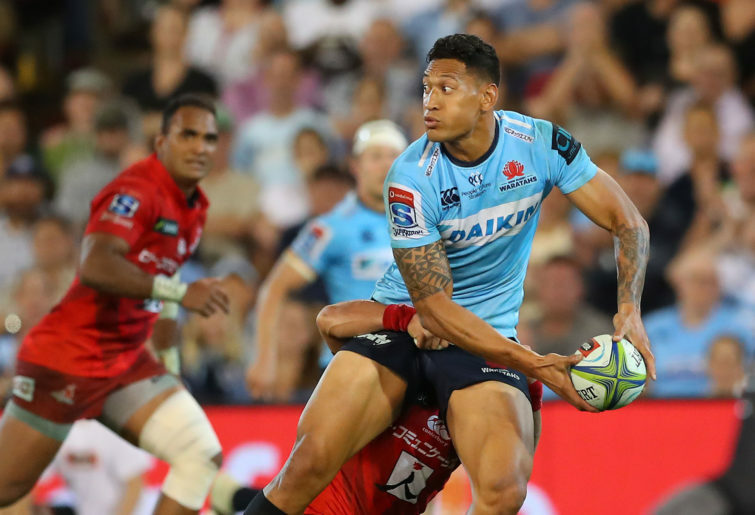 Hence the situation we arrive at today where Folau has been released from his Waratahs playing duties, and is reviewing options to try to save his career. It was his view that god had given him theokay to grow dope and moreso, that he was answerable to god, and not the court. If that same magistrate was around today to comment on the Folau matter, he might well say to Folau the same thing he told this young man; just because something is written in the bible, it doesn’t absolve individuals of their responsibilities with respect to matters of the law, including contract law, and the showing of respect and tolerance for all members of society. It seems that there will be more twists and turns to come, depending on how hard Folau is prepared to fight for reinstatement, and how determined Rugby Australia is to stick by their decision to banish him from the game. If Folau was to return to the Wallabies – and it is difficult to imagine this happening from here – it might make David Warner re-entering the Australian Cricket team dressing room to park himself down between Mitchell Starc and Josh Hazlewood seem like a gentle fluttering of the Fremantle Doctor. In the meantime, depending on where one sits, Folau remains a figure of inspiration, of victimhood, of pity, of bewilderment, of frustration and of derision. The realisation that Folau is out of rugby brings with it a range of assessments of his place in the game. 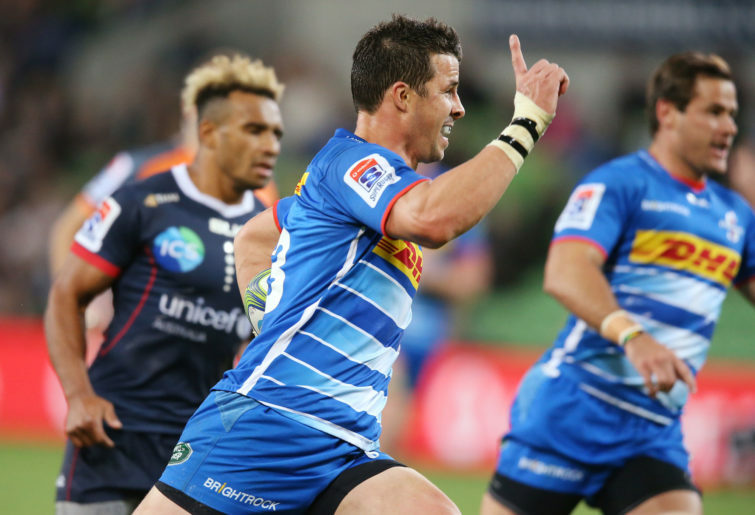 73 Tests, 37 Test tries and 60 Super Rugby tries is an outstanding record by any measure. Although never a natural kicker of the ball, attempts to paint him as limited or overrated aren’t supported by the numbers. Throw in eight Kangaroo Tests, 91 NRL appearances and 13 AFL matches and Folau clearly belongs in an elite cohort of Australian sportsmen and women. On the other hand, Jeremy Paul’s take that Folau’s absence is the ‘nail in the coffin’ for the Wallabies’ World Cup chances overstates his influence. The overriding factor that will determine the Wallabies chances at the World Cup is the performance of their forward pack. As if a reminder was needed that games are won and lost at the advantage line, the Stormers provided the Rebels with a reality check in Melbourne, getting their tactics spot on, and dominating the physical exchanges on their way to an impressive 41-24 win. The Stormers’ Robbie Fleck looked every inch the antithesis of a coach under pressure, casually dressed as if primed for a session at the nearby Precinct Hotel with instructions to his assistants to text him if there was any good news. His phone would have been pinging early, Dillyn Leyds running free like a hot man-bun slicing through butter, while more tries followed in the second half, as the Rebels’ frustrations fed into a mounting error rate. The other side of the flat-line attack coin is that while the Rebels are happy to play in a confined space, the Stormers took away their time, rushing up to meet the Rebels runners hard at the line – and more often than not, either pushing them backwards or forcing a handling error. Posting up on the wider runners as well, they had Quade Cooper’s passing game well covered, twice picking off intercepts when it appeared that the Rebels had a runner through a hole. By contrast, the Rebels lacked their usual fizz in defence. The return this week of Matt Philip and Anaru Rangi should go a long way to restoring their energy and punch on both sides of the ball. Earlier, the Crusaders’ 43-17 win over the Highlanders put last weeks’ performance by the Brumbies into perspective. After a slow start to the season, All Black flyhalf Richie Mo’unga is coming nicely to the boil. Hamilton gave up yet another cracking New Zealand derby, the Chiefs edging the Blues 33-29, to extend their streak to 15 wins on the trot against their northern neighbour. Ma’a Nonu continued to stake his claim for an All Black return with another convincing performance, Dalton Papalii was impressively abrasive, but it was the Chiefs’ Sean Wainui who stole individual honours with a delightful ‘on the run’, foot tip to himself, leading to a crucial second-half try. After having previously mistaken Brodie Retallick’s knee for his shoulder, commentator Justin Marshall’s medical career continues to spiral downwards, explaining to viewers that an injured Damian McKenzie, “never shows pain, this boy”, at the precise moment McKenzie grimaced as though shot in the spine by a sniper. The Brumbies got their season back on track with a comprehensive 31-20 win over the Lions – all without the aid of a try from an attacking line-out maul. No.8 Lachie McCaffrey and inside centre Tom Wright both made early errors, but recovered well to leave their stamp on the game. It is early days at this level for Wright, but he has a turn of foot and twinkle toes reminiscent of namesake 70s Wallaby, Ken Wright. The tipping nightmare that is the South African conference continued, with the travelling Jaguares belting the Sharks 51-17 in Durban. Pablo Matera obviously wasn’t satisfied with his cracking solo try last week, adding a couple more belters to his growing highlights reel. The round tailed off in Pretoria, with the Bulls too strong for the Reds, their 32-17 win taking them to the top of their crowded conference. For Reds fans, highlights were few, apart from Samu Kerevi again showing he knows where the try-line is, surging strongly for his two tries. The weekend’s second high-profile career retirement was better planned and more widely celebrated than the first, Winx signing off with her 33rd successive win, 25 of them in Group 1 races – beyond astonishing. It matters not that her races have long become nothing more than foregone conclusions – one never tires of watching champions go about their work with such arrogant ease. The other thing Winx has going for her, as she heads into well-earned retirement, is that her legacy will never be tarnished through falling foul of inappropriate use of social media.